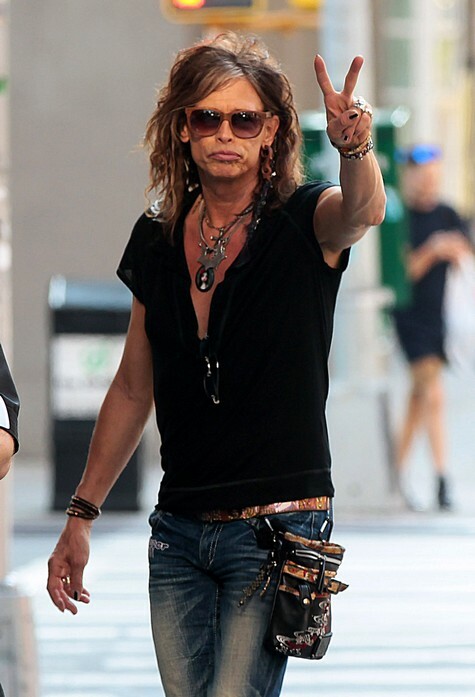 Steven Tyler might have an awesome falsetto, but it won’t save him from internal music/television industry politics! According to latest reports, “Tyler’s former management company sued his current lawyer on Thursday claiming she botched his contract negotiation and cost Tyler a $6 million – $8 million deal to return to American Idol.” Uh-oh! It looks like Aerosmith’s front man needs to do some damage control! The official complaint was filed in the Los Angeles Superior Court by Kovac Media Group. They claim that Dina LaPolt, the most famous music entertainment lawyer in the United States, was in charge of handling Tyler’s contractual negotiations on American Idol. She had to secure a bigger pay check for Tyler at the end of the last season of American Idol, but failed to do so. The American Idol producers were soured by the negotiations and offered Tyler no raise for the new season of the show. He bowed out of American Idol and took a very large viewing bloc with him. Tyler and J.Lo have since been replaced by Mariah Carey, Nicki Minaj and Keith Urban. According to the filed suit, which doesn’t mention Tyler, but “clearly references him”, LaPolt allegedly convinced Tyler to fire his former managers and management group, and “withhold a commission from an Idol severance payment.” She is being sued for fiduciary duty and international interference with contract, which could have her shell out a very, very cool $8 million dollars. Tyler’s departure from American Idol resulted in a publicized scurrying for new musicians to join the judging panel and has since been reduced to the entrails of garbage. Tyler and J.Lo’s departure resulted in a new format and new judges, which many have referred to as American Idol’s “jumping the shark” moment, especially with the dog-eat-dog fighting, drama and tears. What do you think? Do you think American Idol can be saved? Let us know in the comments below.